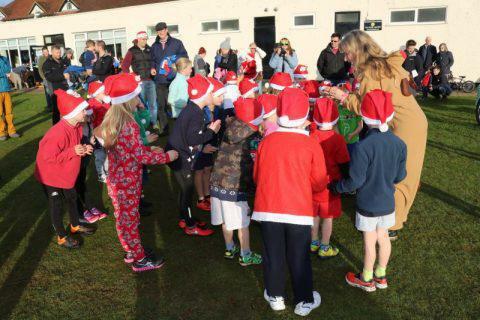 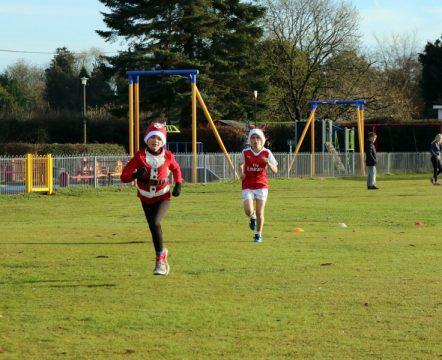 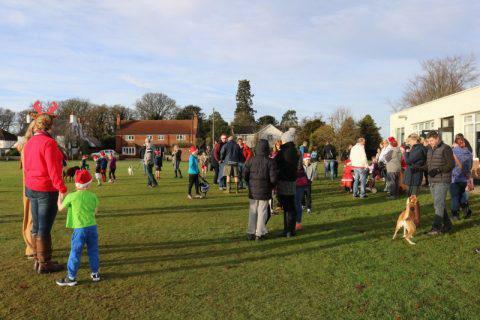 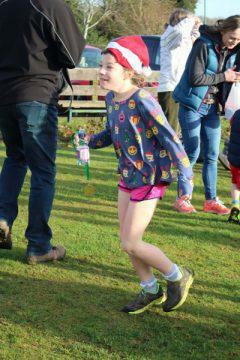 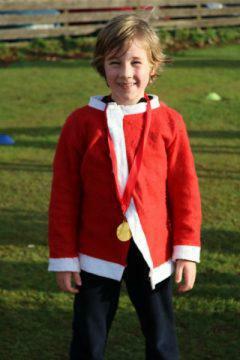 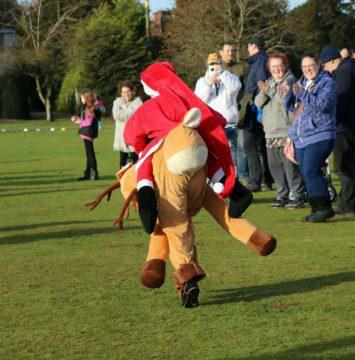 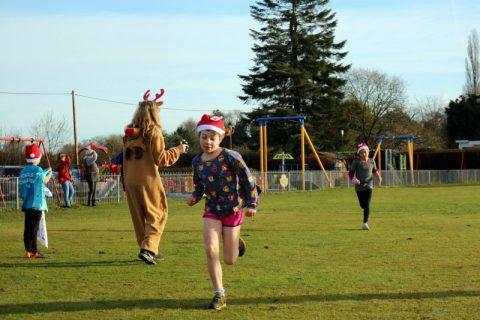 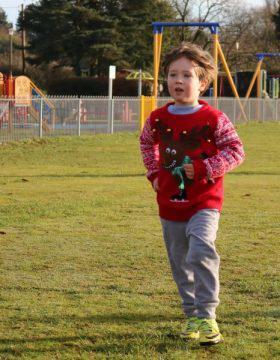 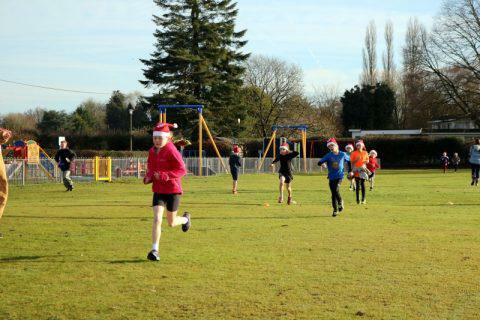 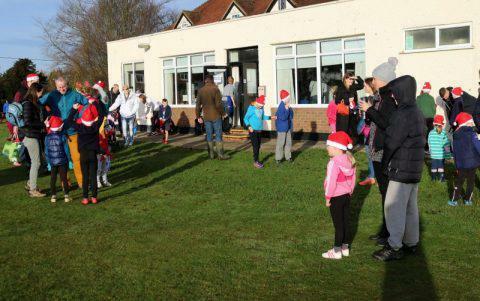 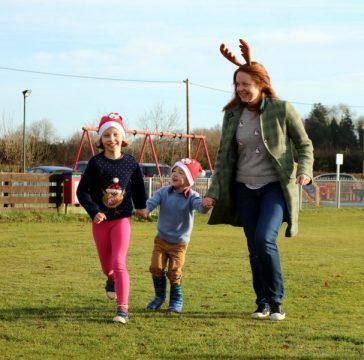 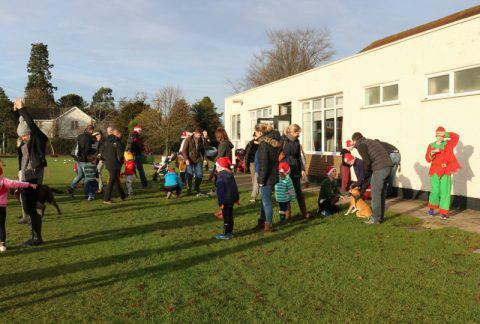 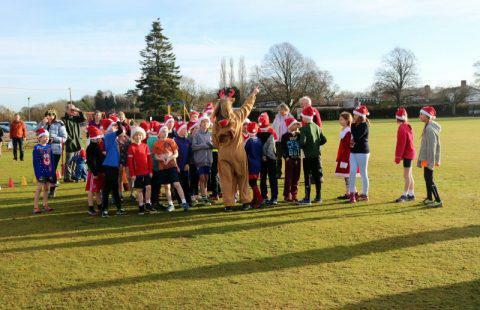 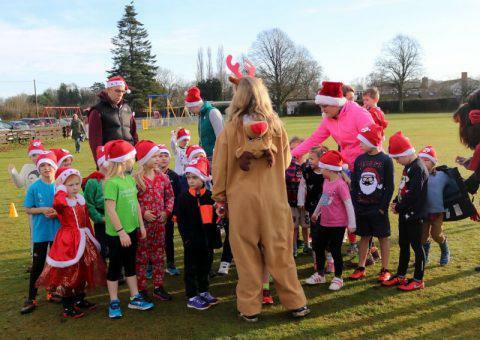 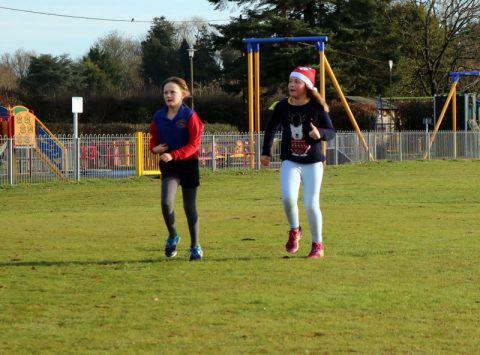 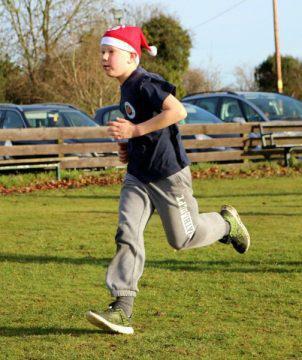 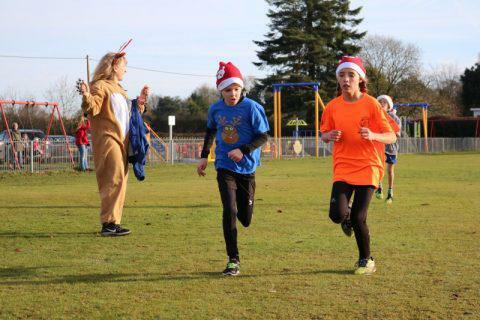 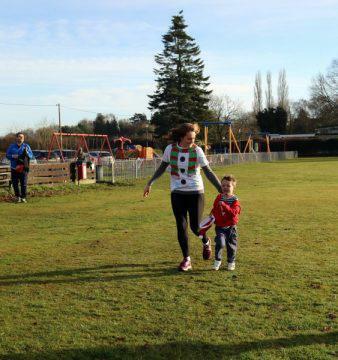 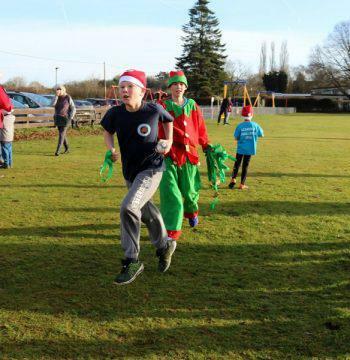 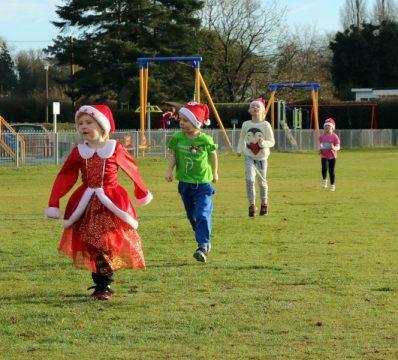 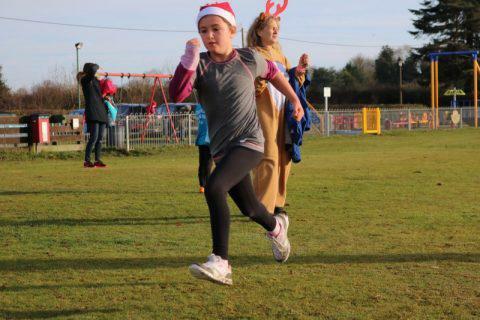 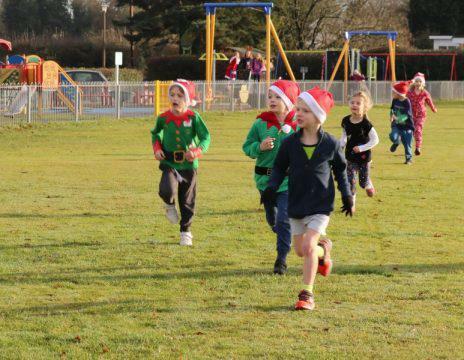 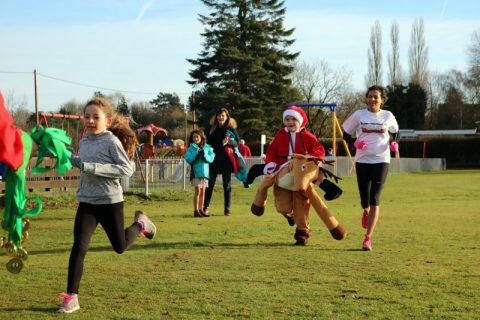 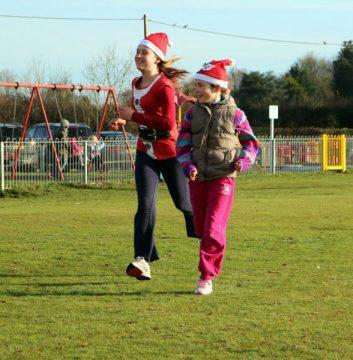 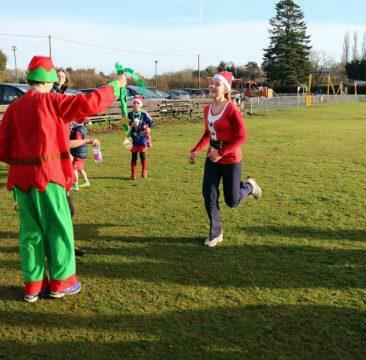 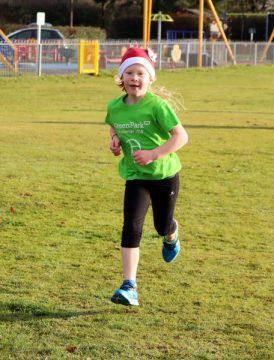 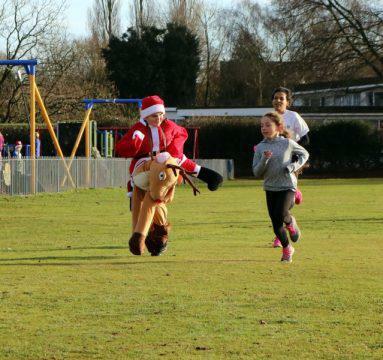 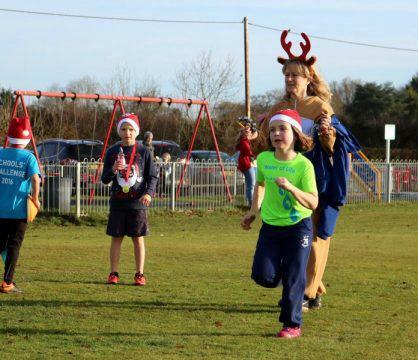 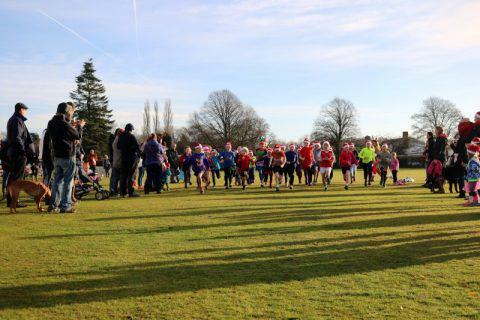 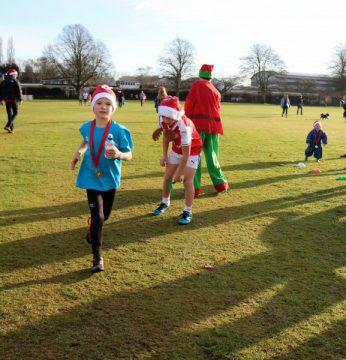 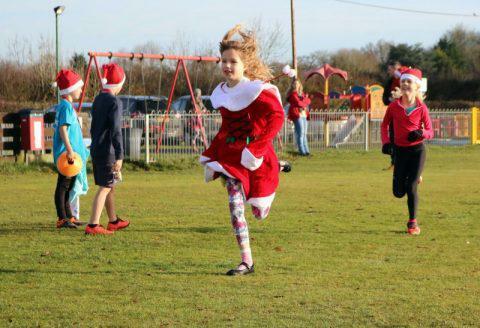 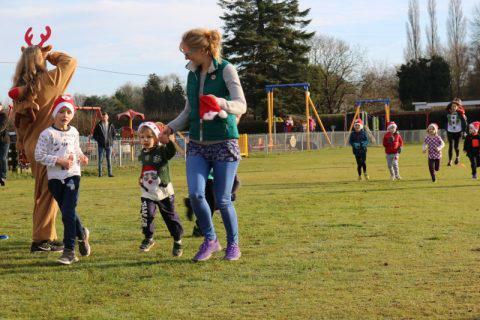 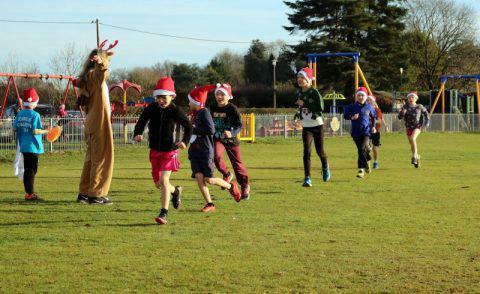 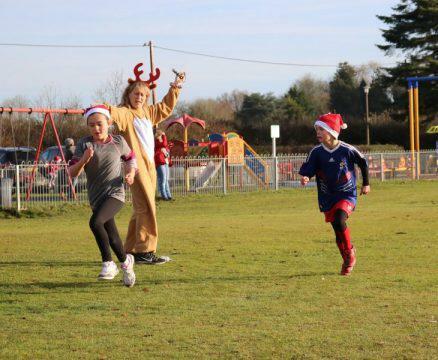 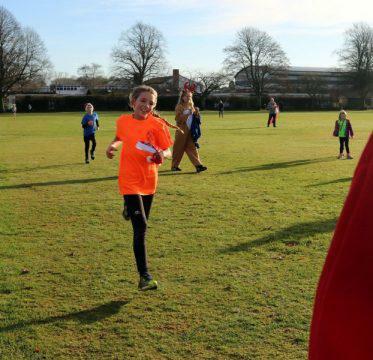 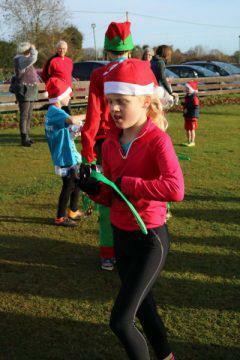 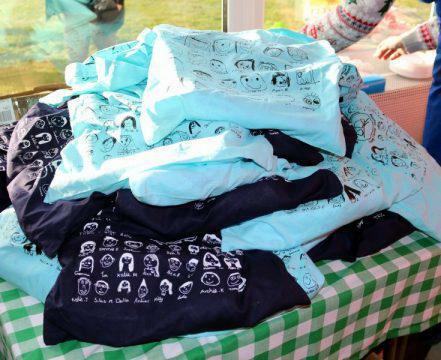 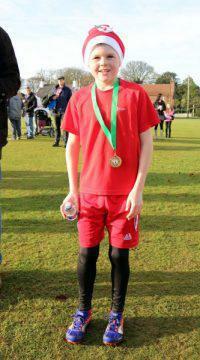 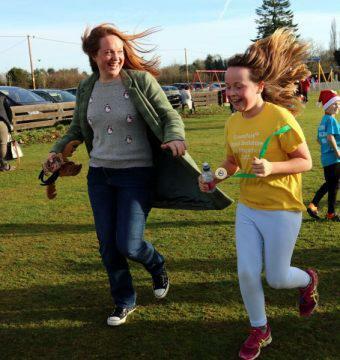 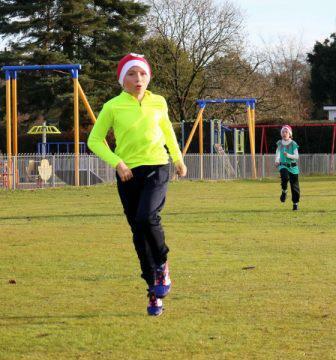 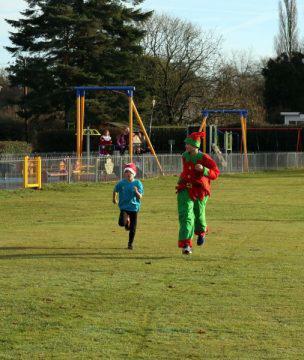 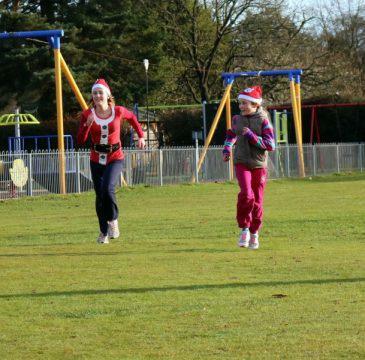 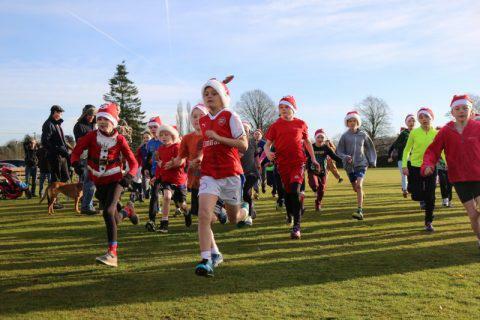 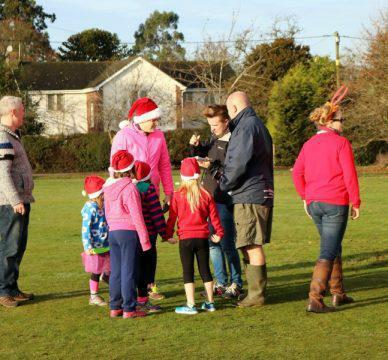 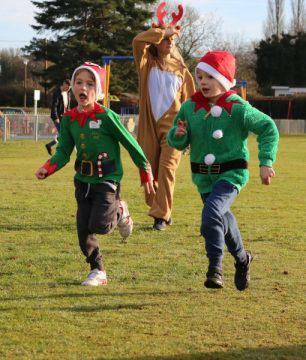 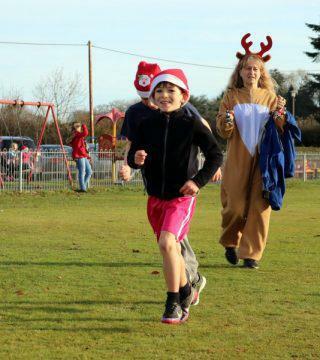 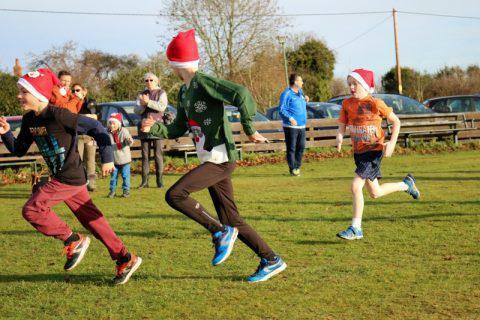 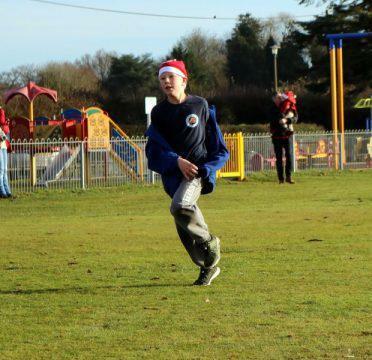 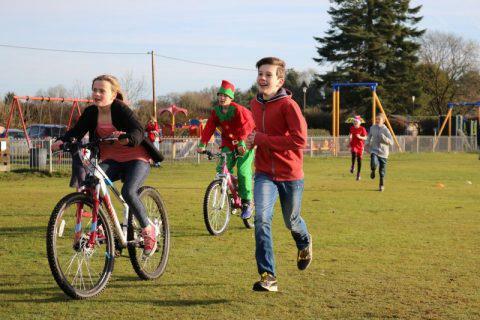 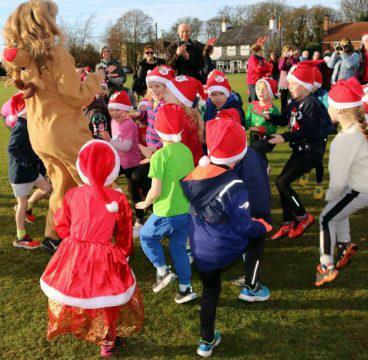 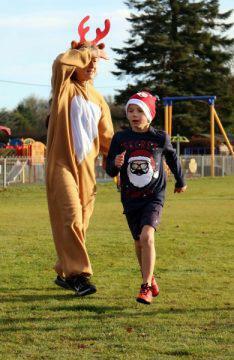 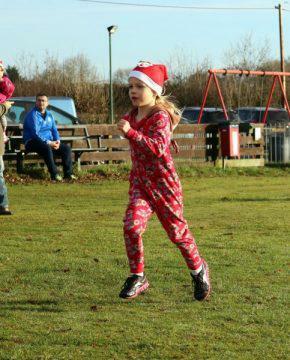 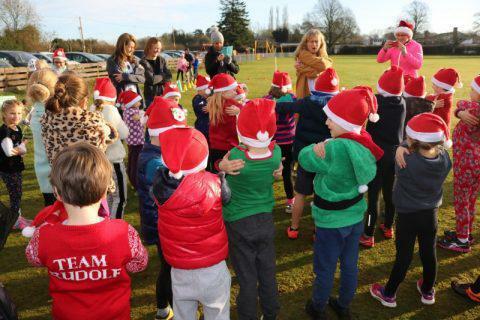 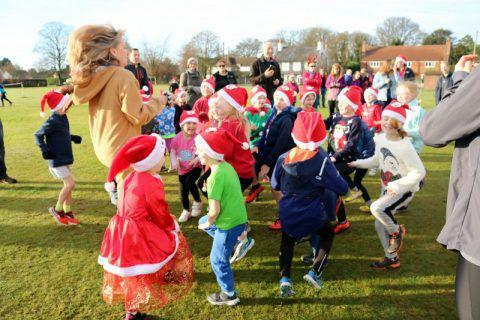 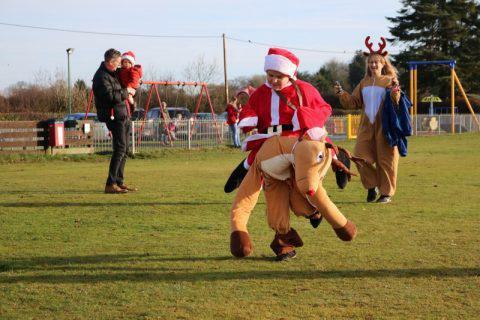 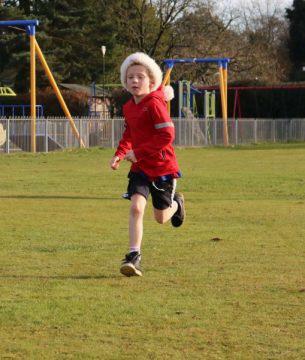 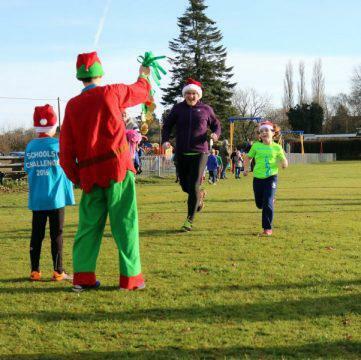 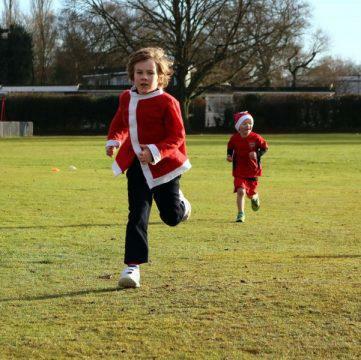 On Sunday 11th December, FOWPS hosted the inaugural Jingle Jog Fun Run event on the Woodcote Village Green. 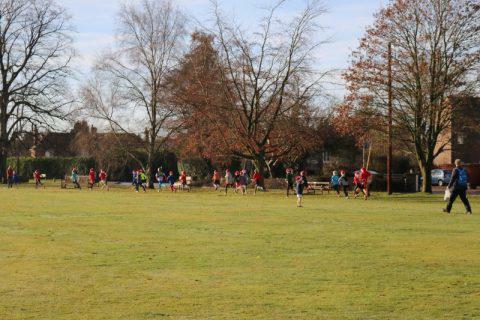 After a rainy Saturday, Sunday morning dawned bright, sunny with clear blue skies. 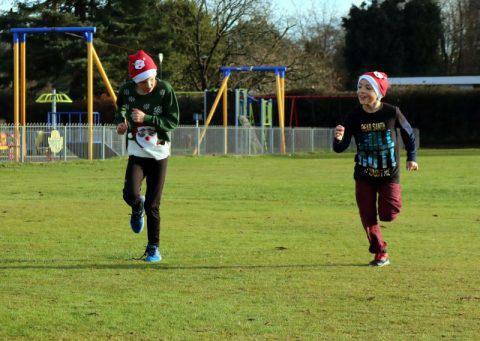 A lovely warm morning to go for a jog. 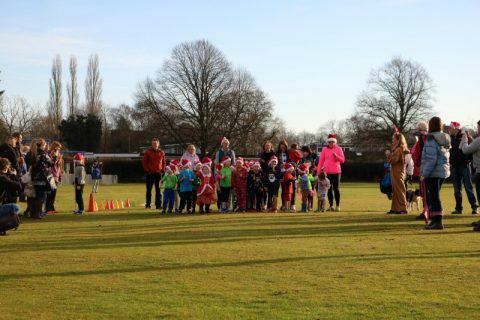 At 10am, 31 children aged 3-7 participated in the Preschool and KS1 race. 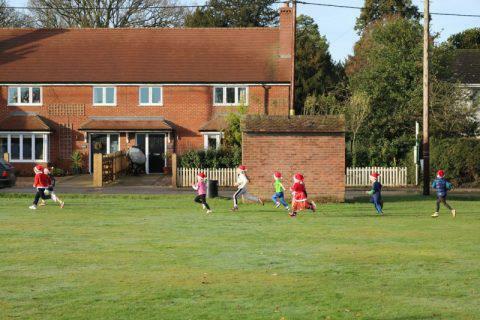 After a warm up and quick briefing lead by Mrs Bodeker, they set off running 4 laps of the village green for a distance of around 1 mile. 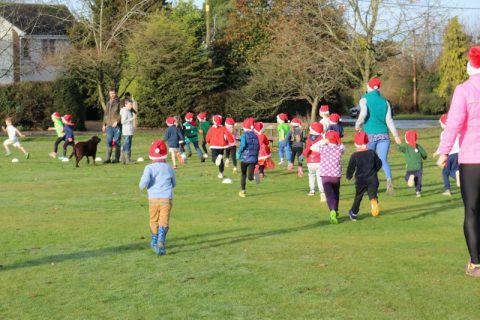 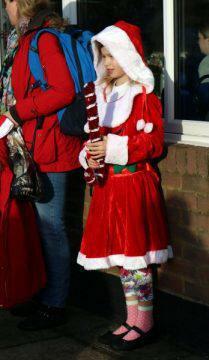 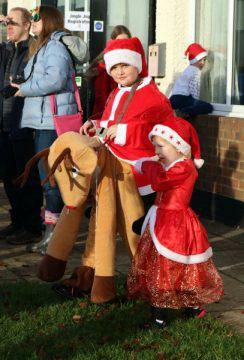 It was great fun to see all the lovely festive outfits and Santa hats bobbing round the field. 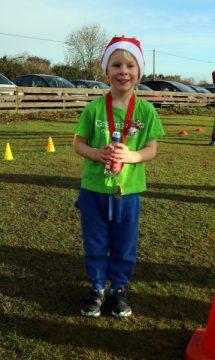 The run took around 15 minutes to complete-3 year old legs are rather short! 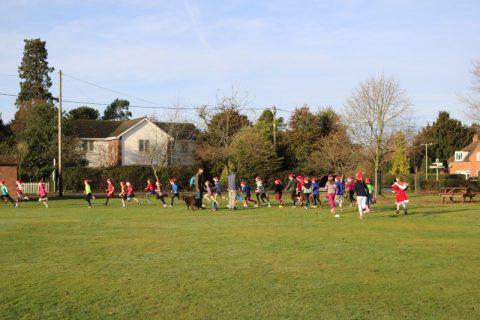 Straight after, the older group of 37 children, ranging from age 7-11 did their warm up session and were briefed on their longer course. 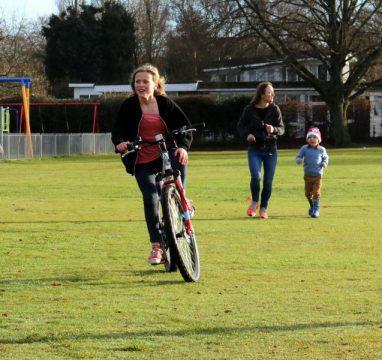 Following the “hare” (ex-pupil Gemma) on her bicycle, they sped off to complete their 2 mile run. 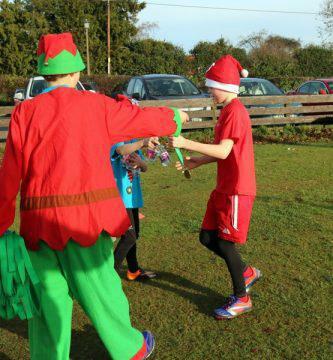 With some fun and funny dress up outfits, it was great to see everyone having a good time making their way round. 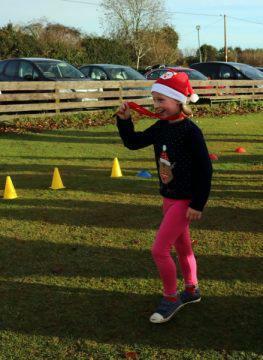 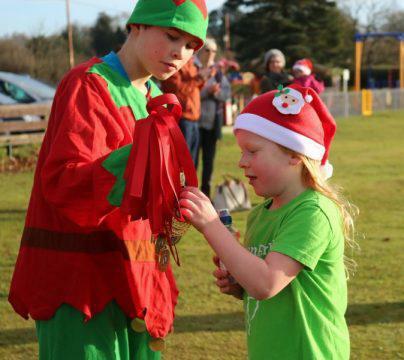 At the end of the race, each child was awarded a lovely Jingle Jog participation medal strung on a red or green ribbon and a goody bag with tasty treats donated by Ella’s Kitchen. 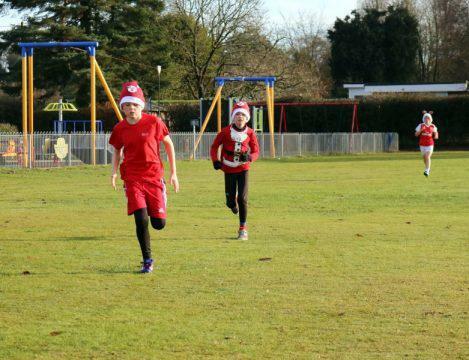 We slipped in a small candy cane too. 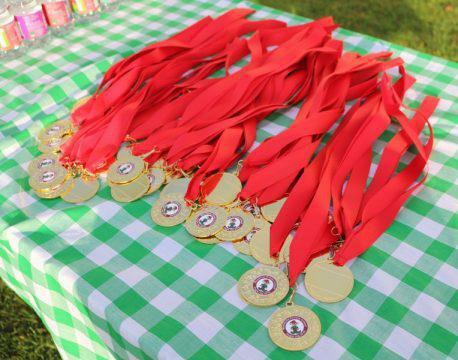 Special thanks must be made to the volunteers who set up the course and the refreshment area . 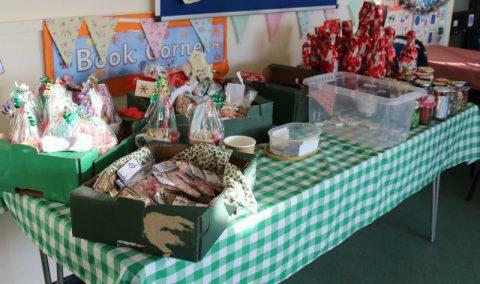 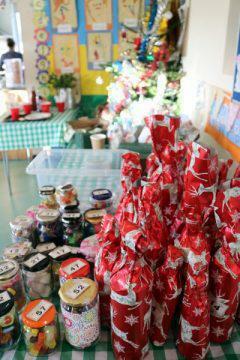 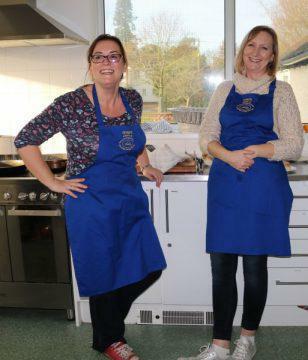 Also, thanks to the volunteers who cooked all the food, served the drinks and cakes and baked treats to sell. 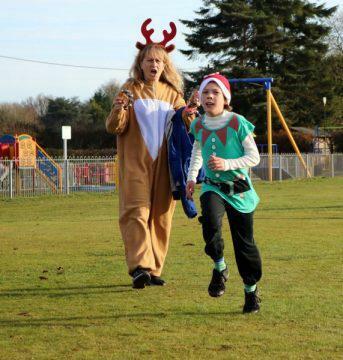 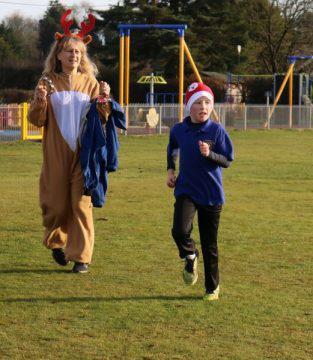 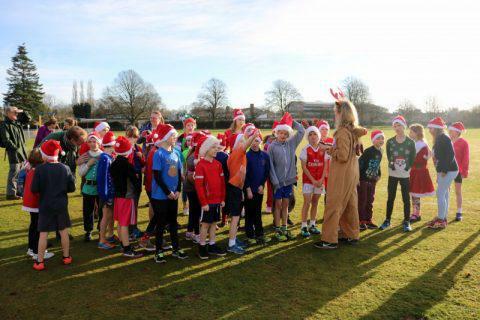 A huge thank you Mrs Bodeker (who came along dressed as a reindeer) to set up the course, organise the runners and start and end the runs. 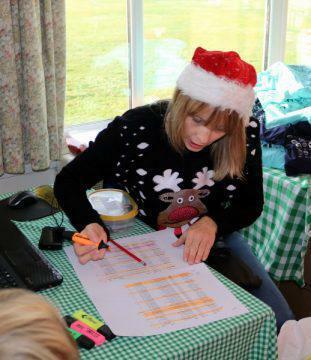 We are grateful to have such dedicated staff willing to attend weekend events and to play such an important role in it.